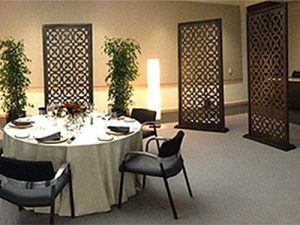 Keysight Technologies - Room Dividers - Pure Black, Inc.
Keysight Technologies contacted us for some room dividers. Serving a number of purposes for future use, however the immediate use was quite simply to serve an elegant and quaint meal in a very large room. 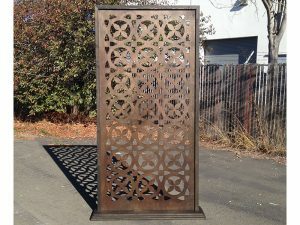 I think these room dividers were the perfect fit. 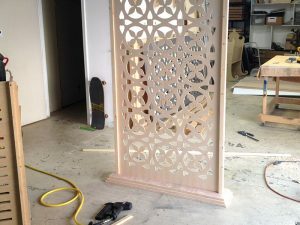 Custom made pattern CNC cut and framed, custom made slide-in channeled base, sanded, stained and finished. Thank you Jacquie for all your work and input on these.